Volvo's all-electric spinoff, Polestar, is making it a point to be the Swede's first entry into the electric future where batteries are king. Well, except for this one lone wolf. 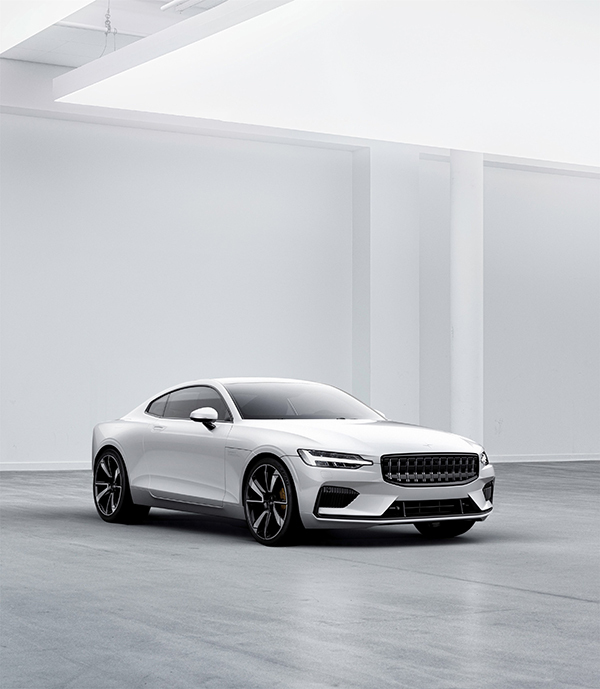 The brand's first model as an independent entity, the Polestar 1, is being called a "Grand Tourer Coupé"—which is just fancy-talk for saying that it's a two-door, two-plus-two performance car that looks something like a futuristic, European-made Ford Mustang. World, meet the Polestar 1. Volvo parent Geely is throwing the word "performance" into the mix with this car for a very good reason: The Polestar 1 makes gobs of power. Its hybrid powertrain pumps out 600 horsepower and 737 ft-lb of torque, thanks to dual electric motors positioned at the rear of the car and a twincharged 2.0-liter four-cylinder driving the front wheels. 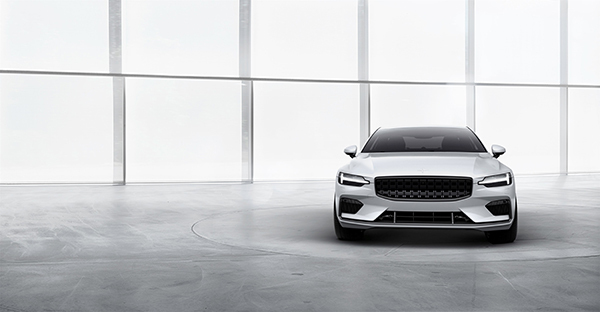 Polestar also prides itself on having the longest claimed electric-only range of any hybrid car on the market, as the coupe is capable of traveling 150 km (93 miles) on EV power alone. Much of that power would be wasted if the car weighs an exuberant amount. That's why Polestar has decided to use carbon fiber to build the majority of the vehicle's body. Not only has this reduced weight considerably, but it has also improved torsional stiffness by 45 percent. To help counteract all of that weight when the car is in motion, the coupe is also the first car to be fitted with the Öhlins Continuously Controlled Electronic Suspension (CESi). Using this technology, the vehicle will be able to actively react to road conditions and driver inputs within two milliseconds of a change, changing the way the car handles by dynamically adjusting the dampening. 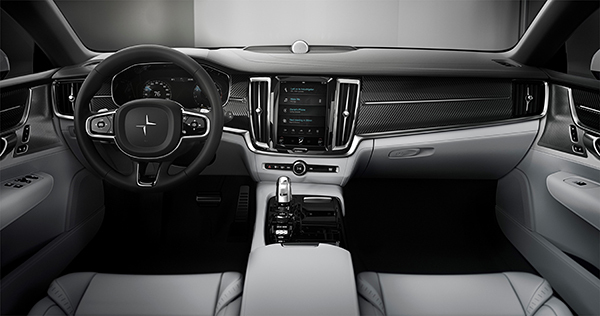 In order to keep things fresh but still build it off reliable, well-vetted technology, Polestar borrowed parent company Volvo’s Scalable Platform Architecture (SPA). This will permit the Polestar 1—and other models that use SPA—to be fast-tracked into production. Though the Polestar 1 might be the first hybrid on the SPA platform for the brand, it will also be the last. All future Polestar cars will be exclusively battery-powered, making them fully electric—and fulfilling the "vision" of the company. 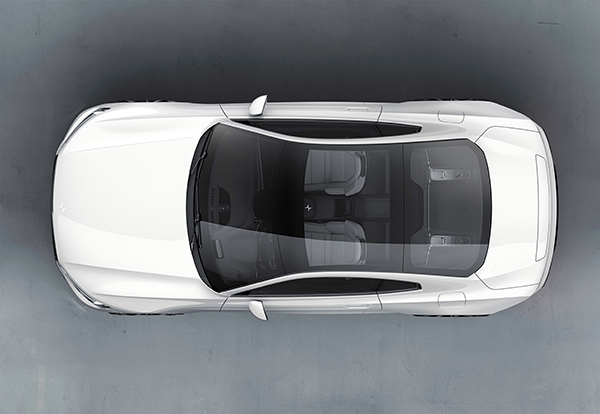 "Polestar 1 is the first car to carry the Polestar on the bonnet," said Polestar's CEO, Thomas Ingenlath. 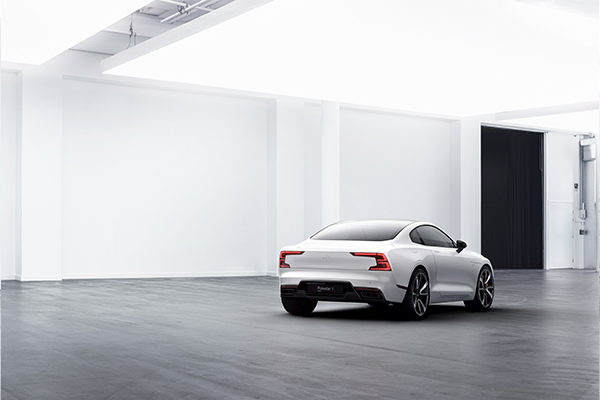 "A beautiful GT with amazing technology packed into it—a great start for our new Polestar brand. 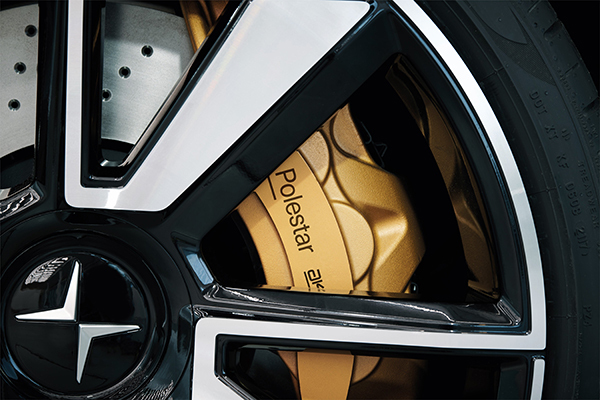 All future cars from Polestar will feature a fully electric drivetrain, delivering on our brand vision of being the new standalone electric performance brand." Given that Polestar considers its vision to be battery-only cars—and it's a bold vision, part of Geely's $760 million dollar plan to launch the brand as an EV manufacturer—one might call into question if the Polestar 1 feels rushed. Even if the technology isn't ready for Polestar to mass-produce a BEV, we can consider it one last hurrah from Volvo's prestigious petrol-powered history. Best of all, Polestar will be selling vehicles direct to consumer—something which the public seems to love, but automakers and local state governments tend to not. Polestar has mentioned it will offer a sort of subscription service like Volvo is doing—no surprise, given the impact that automakers foresee this having on car ownership. The vehicle will be manufactured alongside other Geely-owned brands in the Polestar Production Center, located in Chengdu, China, and is slated to begin production in mid-2019.